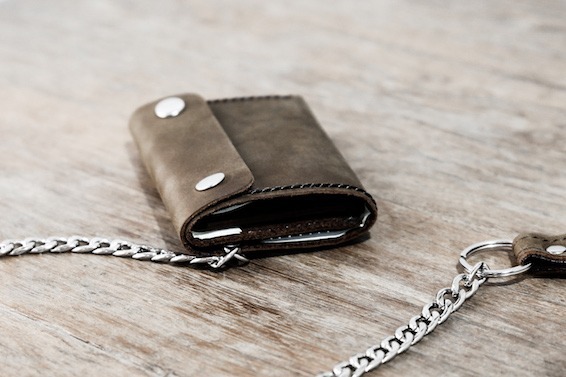 If you searched for Leather Biker Wallets, you'll in the right place! 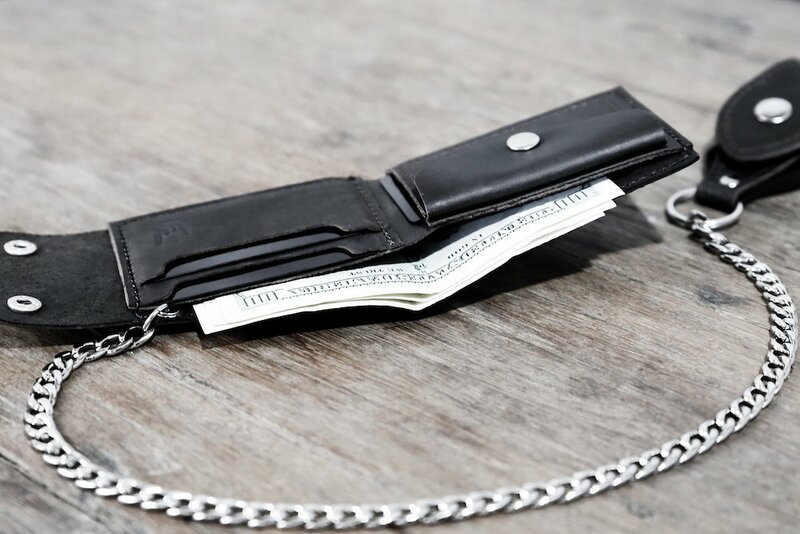 We have two biker long wallet designs. 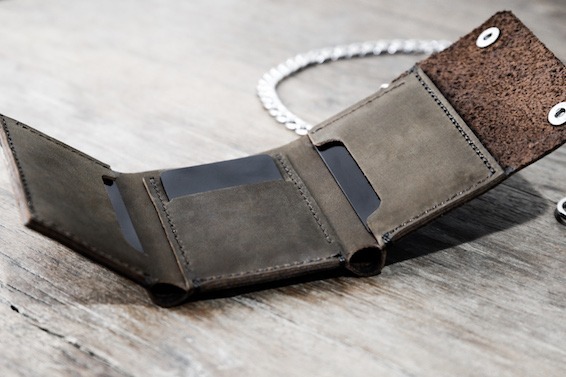 Our newest release is pictured right below and it comes with unparalleled functionality. 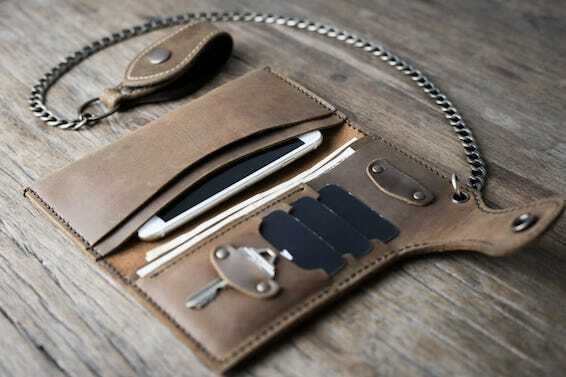 Four card slots, cash pocket, iPhone pocket and a zippered compartment that can be used for multiple purposes. 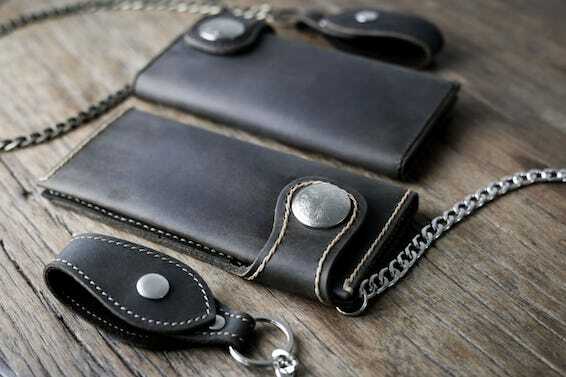 If you looking for our traditional biker long wallet, we offer it in two colors: our original brown distressed leather and our dark distressed leather. 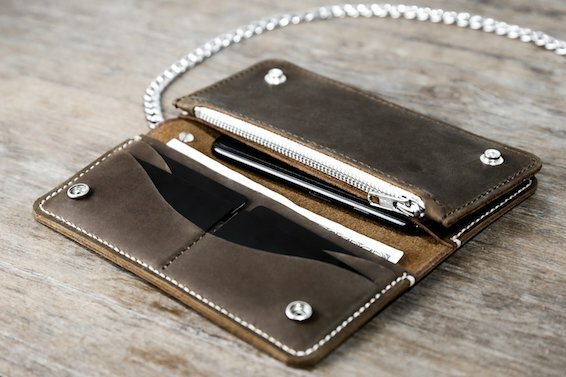 The biker bifold wallets have 4 card slots inside. Each card slot can hold up to 3 credit cards. It is possible to stretch the slots further. 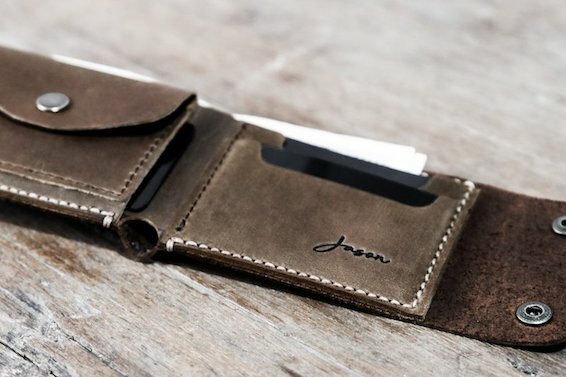 You do have the option get your biker wallet personalized with your name, initials or a logo. Naturally, we continuously test all of our products. The information we collect combined with customer feedback, we make changes and improvements to our designs on a very regular basis. 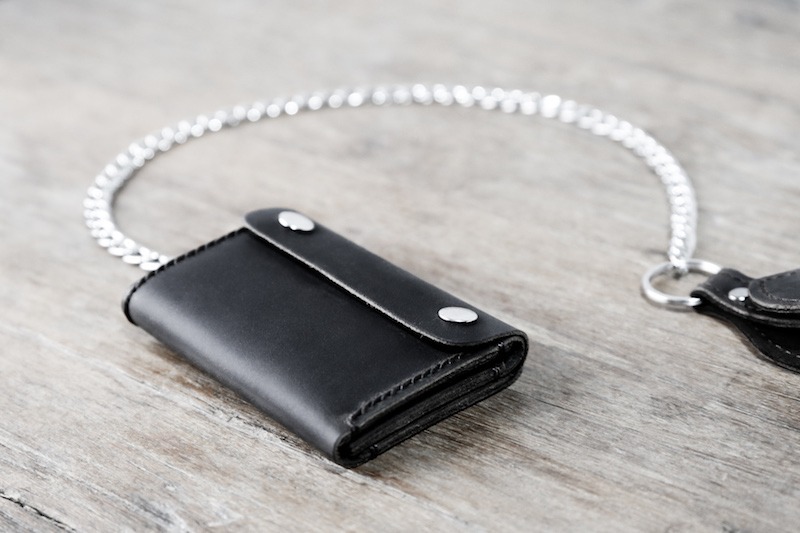 As more and more of our customers requested the wallets without the chain, we quickly made it a regular listing. 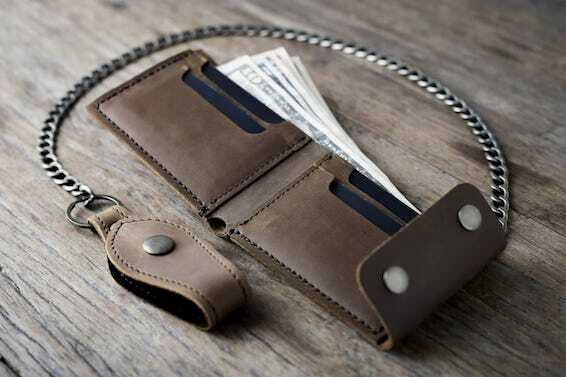 If you carry a lot of cash and cards, the trifolds might be your best fit. 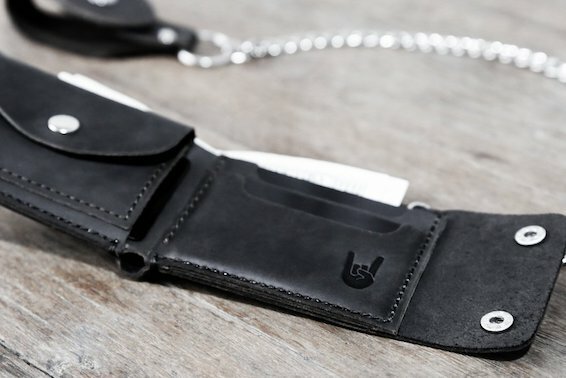 Please note, we don't personalized the outside of the biker wallets, only the inside. 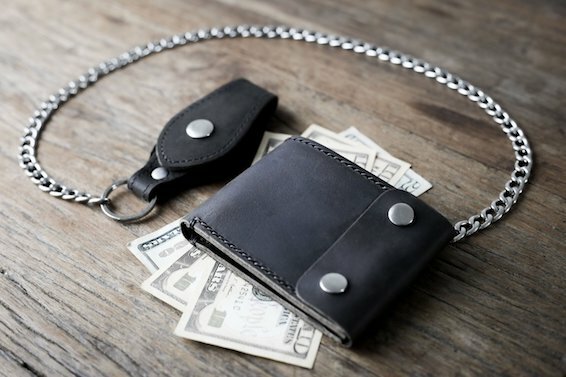 For the trifold wallets, there is a lot great spots inside with the bottom of the middle panel being the most often requested. We get this question quite often. 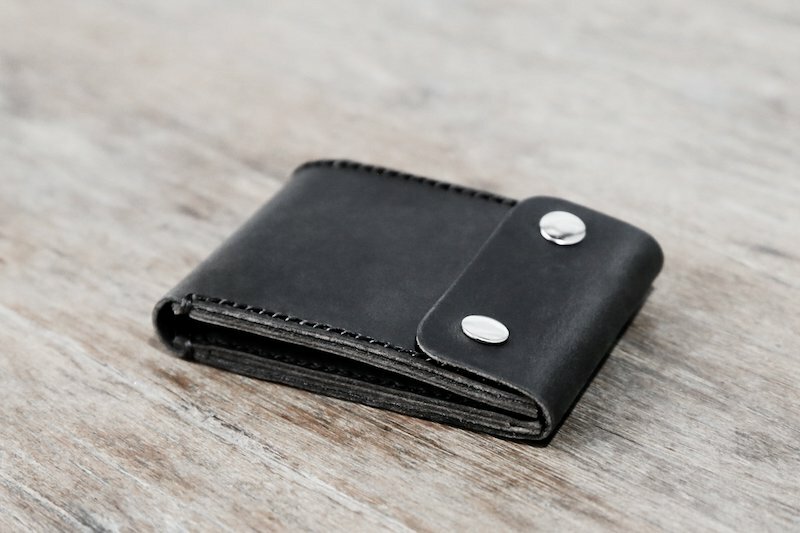 Since distressed leather doesn't have a top seal, the wallet will collect the oils from your hands, make the leather darker and darker, gradually forming a patina. The overall color isn't a solid black. Many different color pigments are present. So the color is more a blackish-brownish grey. 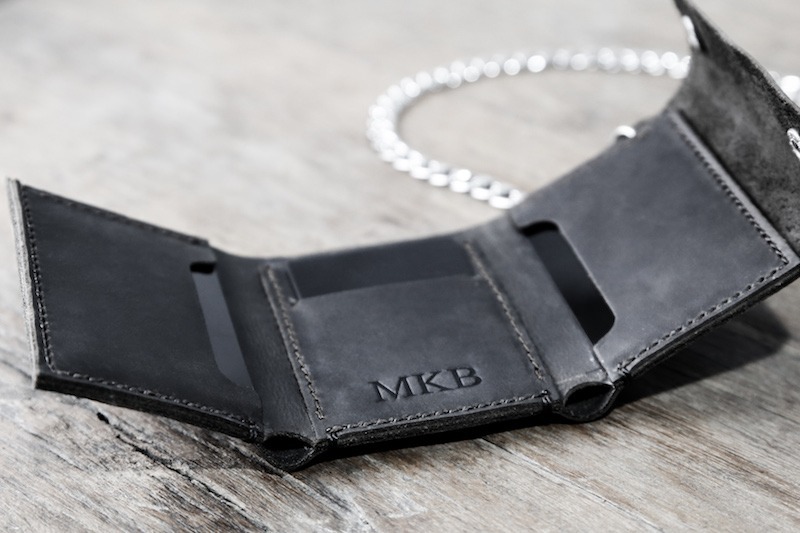 The above personalization 'MKB' is just a sample. 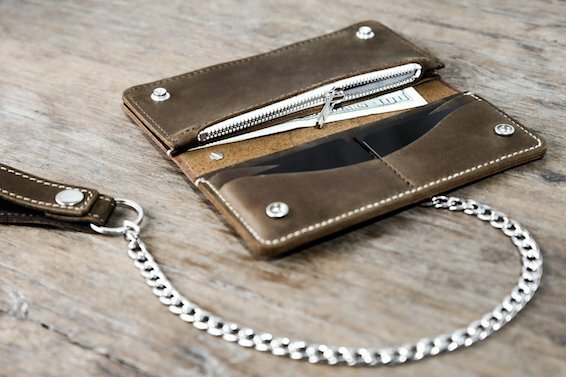 You get to choose your personalization that goes on your wallet. We have twelve default options you can choose from (see below) or you can submit you own design. The 'MKB' sample is using our monogram #1. 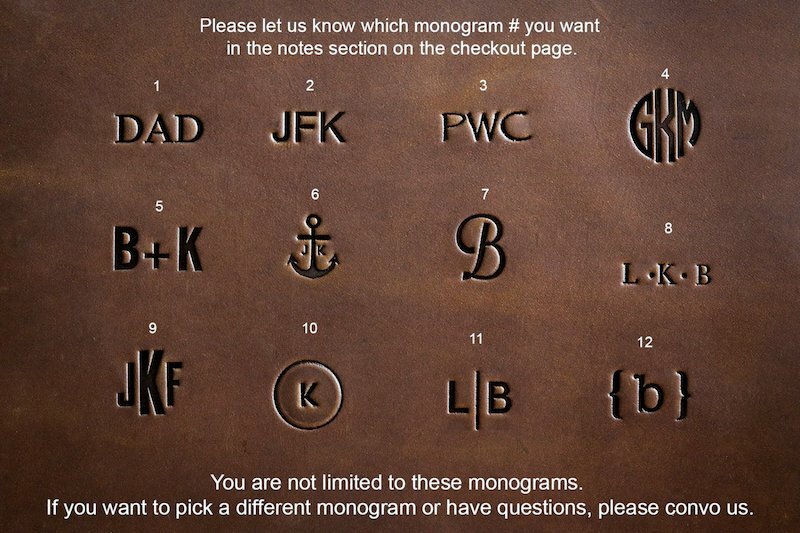 To test you own initials, go ahead and play with our free monogram maker.